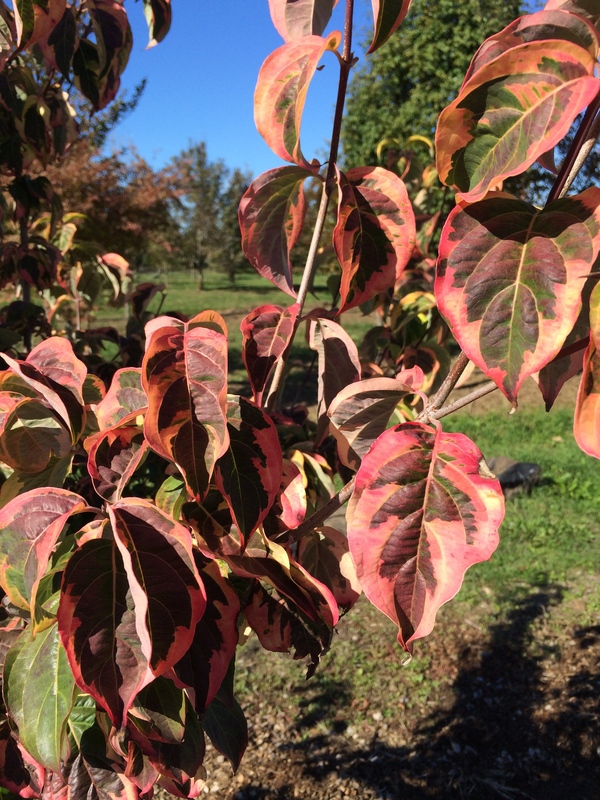 A new variegated dogwood found as a branch sport by Don Shadow in Tennessee. Foliage is green with a wide yellow edge. Flowers are white in May. Fall colors are marbled reds and pinks. A beautiful selection destined to become quite popular.